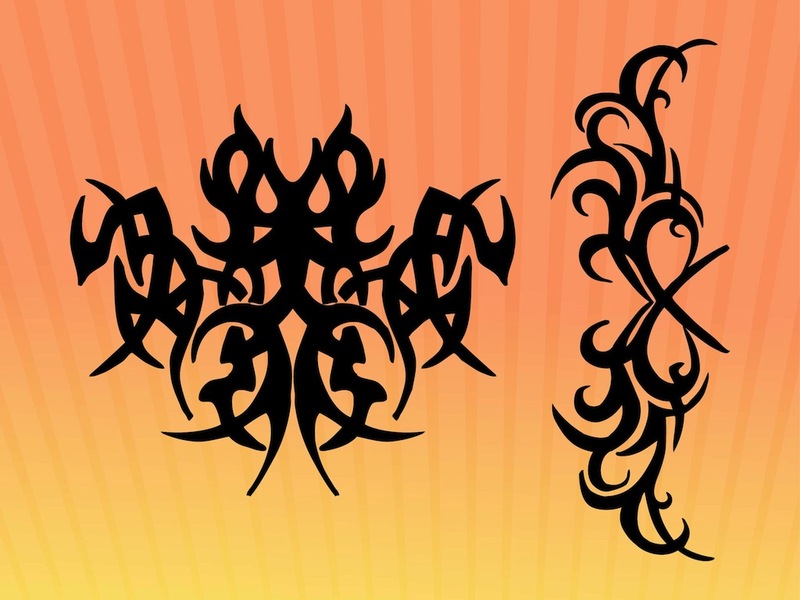 Free vector illustrations of generic tribal tattoos. Different shapes of the solid color tattoo templates. Overlapping lines, abstract shapes and pointy edges. Free vector graphics for all kinds of tattoos, stickers, decals, logos and poster decorations. Download abstract designs to use in your body art projects. Tags: Abstract, Body Art, Decals, Ink, Linear, Lines, Swirls, Tattoos, Waves.